Weeee! First commet!! wonderful pic, good job, I love this picture!!!! E: preeettty!! pretty hair!! by the way, i love it! it’s grand. Wow! That’s really good! You have some serious skill! Oooh, Gwyll, it is lovely. Your shading on Legolas is superb. The tiny smile, even the shadow under his eye. I love it! it’s absolutley amazing, u probaly hear this alot, but u r so talented! Absolutely breathtaking. I love the contrast of light and dark and the hair is stunning! i actually thought legolas was celebrian. that would make more personal sense for me. Absolutely amazing. I’m running out of compliments on your work. WOW! Can’t say much more, simply WOW! You are so talented! I love it! >.>; What exactly is this depicting? you really captured Legolas’s character!! !! I like how Elrond looks like he’s comforting him just as a father would. the Valar LOOK AT HIM!!! *points to Elrond* HE’S JUST SO GORGEOUS!!!! I almost CAN’T believe it’s a drawing!! It’s like a photo SO GOOD!! 2 of my favo characters!!! *hmm* love it! Yeah, what is supposed to be Legolas reminds me of Celebrian. WOW! was that done in oil pastel? It’s so beautiful! I love the way you catched the tone of light! (Gil-galad is my precous…heheh) It looks like a photo!!! I thought Legolas was Celebrian too…oops. 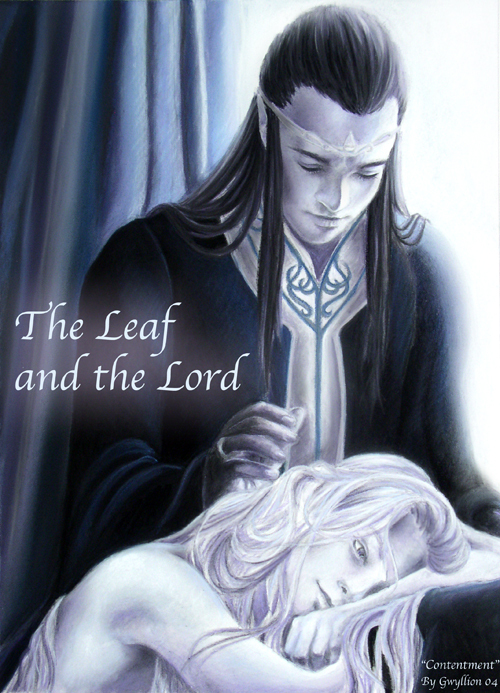 Legolas is the Leaf, and Elrond is the Lord. Absolutely wonderful. Why is Legolas naked? Whatever,itÂ´s still excelent. know what I meant by that either. Very flowing and elegant, but why doesn’t Legolas have any clothes? Do you really want to know? =) Amazing Legolas. Just as I imagined him from the books. ElrondÂ´s in love. I like… like… like Elrond, but I’m not sure about Legolas… to repeat Sulenir’s question, where are his..
Nice, but kinda….. XP I think Legolas is sleeping…. The drawing is beautiful, but I really dislike the homosexual implicataions here. The blond elf is suppose to be Legolas is it? For a moment I thought it was female.